It's been so long since I have done one of these, but I couldn't not. I have been rocking this look constantly this month - its just so beautiful. First things first I will use the Urban Decay Primer Potion as a base (which has to be the best base to any eye look) then use the Urban Decay Naked palette to do a standard gold smokey. 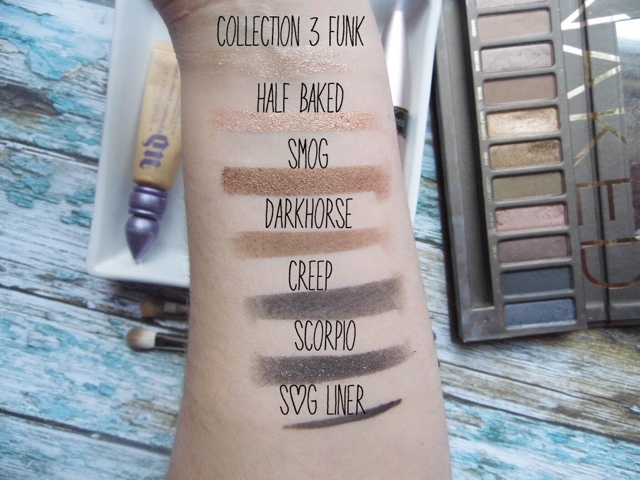 I use half baked all over my lid, then smog and dark horse to build up my crease, to darken further I then use creep along my crease to really define things. To give everything a bit more glam, I use Urban Decay's Moondust in "Scorpio" over creep, it darkens it further and adds some gold glitter into the mix, just so there is as much glitter as possible! I then take my MAC 217 and blend everything in. To deal with mess and fall out I then use make up remover and sort out the sides.. I then do my base to get a flawless finish with no glitter! I then use my Soap & Glory Supercat Liner, add some wings and slap on some mascara, usually the Maybelline Lash Sensational. To finish up I then add the Collection Glam Crystals in "3 Funk" (a gold gel) to add even more sparkle over the half baked. It is a beautiful finish, and will leave people asking who did your make up, and you can respond "me" - best feeling ever. Love the eye look that you have created! 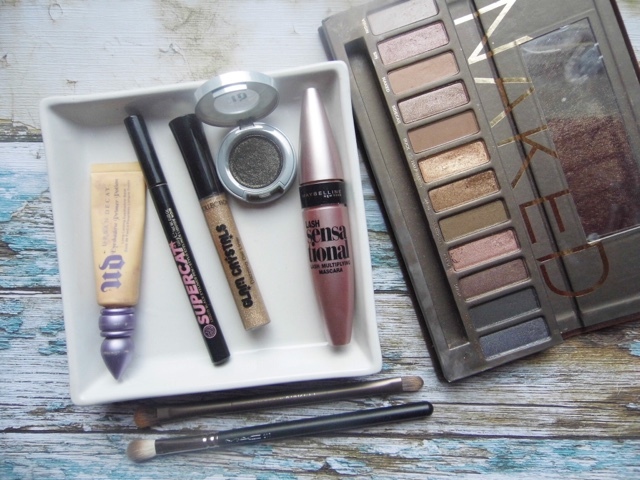 You can never go wrong with a smokey eye! 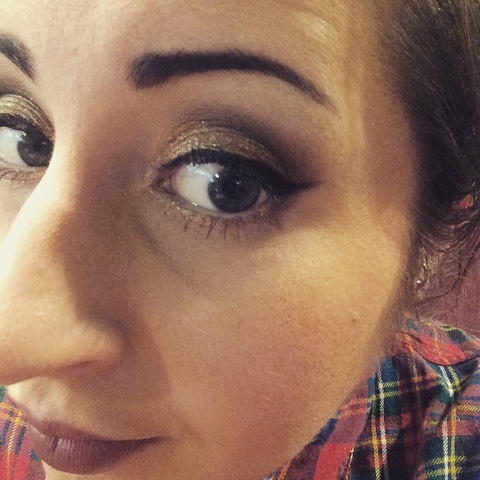 Out with the Old: Decluttering Make Up.